Rebecca was 4 months and 1.5 weeks when I left overnight. That was just the weekend before last! 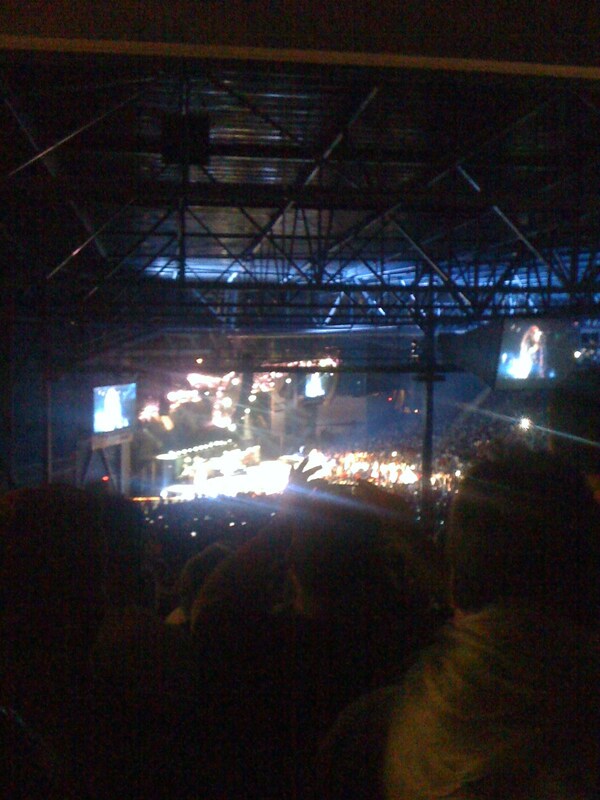 July 7th… Aerosmith was planning in Milwaukee at Summerfest… and I loooove Aerosmith. I’ve seen them once before, about 10 years ago. I had tickets to see them again when I was in college, but it was the year (2006??) that Steven Tyler had surgery on his throat and our tour date was cancelled at the last minute. I cried. SO I WASN’T GOING TO MISS THIS. I mean, they aren’t getting any younger. I kid you not, 5 minutes later, that lady came up to my mom and said she was going to fall on us. Unless, of course, we scooted over so she could stand at the front of the lawn with us where it was kind of, maybe, just a little bit flatter. She told us about her hobby as a call girl (basically. I’ll spare you the details), and clearly we all became besties. Aerosmith was awesome. I do wish they played more familiar songs though. I’m pretty confident in my knowledge of Aerosmith songs and they played quite a few I didn’t know (a girl behind me said the same thing)… some new stuff and some instrumentals – nearly every band member had their own. The bassist’s turned into Sweet Emotion and the drummer’s ended with him using his head as a drum stick. It was fun to people watch, too. You had your older hippies and your younger hippies… you had the groups of friends and the romantic couples… the Ozzy look-alikes, a few punk-rockers, and, my favorite, the older couple in pressed khaki shorts, buttoned shirts, and sweaters tied over their shoulders. You KNOW they’ve got some crazy stories from their teenage years. 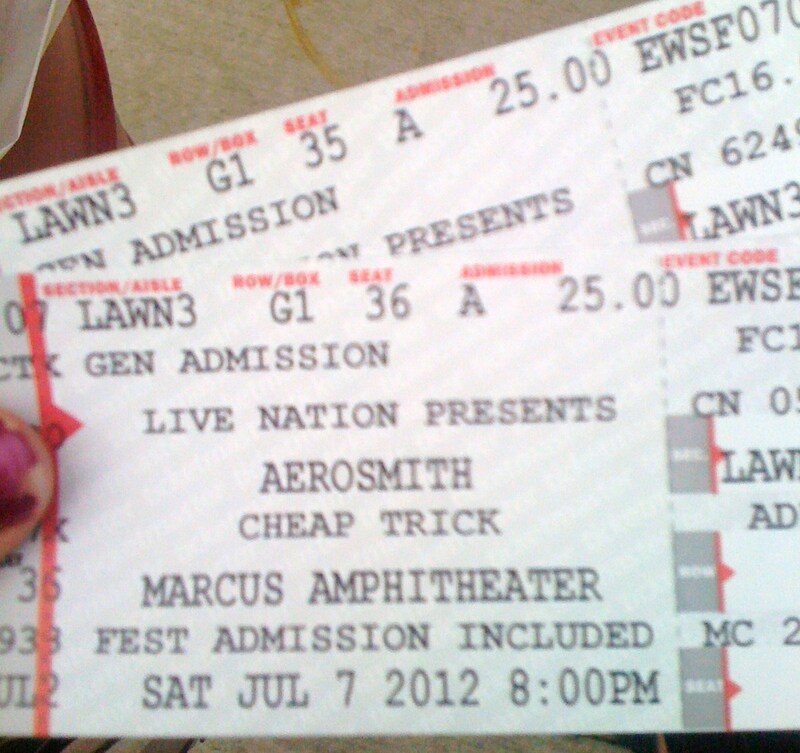 And I’m happy they get to relive those a little bit at an Aerosmith concert. It made me think… when Steve and I get older… who will we go see? There don’t really seem to be any classic, all-time favorites these days. The type that stick around a long time and last through the ages. Like Aerosmith and The Who. 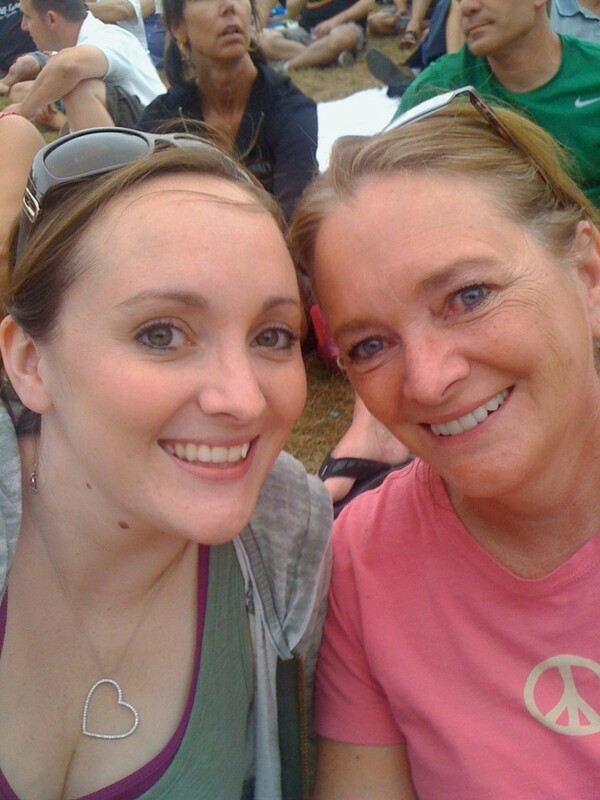 We both love Dave Matthews and have been to a few of those concerts so I suppose he counts, if they stick around till their 60s! Otherwise, I think that’s a pretty sad thought!!! It will be one sad, sad day when the greats are gone. And…..yes it is a very sad to think of a time in the future when the classic rock greats are gone. However, their music will live on forever. I love Aerosmith!!!!! and I agree with you about bands today, most of them are sort of like one hit wonders or one album wonders, it’s hard to say which ones will stick around.